Cliff McCormick has been involved with admissions for MBA and Specialty Masters programs at the University of Maryland’s Robert H. Smith School of Business for over seven years. The school offers a roster of eight specialized masters programs; five of those are STEM-designated. US business schools have had a tough time in recent years with visa regulations and the anti-immigration policies of the current administration putting internationals off. STEM-designated masters programs offer some hope. Students on STEM-designated masters degrees can apply for a 24-month STEM-extension to their 12-month Optional Practice Training (OPT) period which allows them to work on a student visa. That means students on STEM-designated masters programs can stay and work in the US for up to three years after graduation, without an H1-B visa. Smith receives around 3,000 applications for its specialized masters programs each year. Cliff, speaking from the recent Graduate Management Admission Council conference in Boston, says STEM-designation has prompted an increased in international applications to the school. Smith’s Master of Science in Information Systems has been STEM-eligible for a number of years. More recently, Smith gained STEM-eligibility for its masters programs in marketing analytics and supply chain management. Applications to Smith’s STEM-designated Master of Science in Business Analytics have shot up by 50% over the last year. Smith offers three non-STEM-designated masters programs in accounting, business and management, and finance. While Smith’s Master of Finance is not STEM-eligible, it offers a Master of Quantitative Finance which is. The program requires six additional credit hours where students drill down into the technical; financial modelling, forecasting, and analytics. When Smith launched its Master of Quantitative Finance last year, about a third of students who originally applied for the Master of Finance transferred onto it. Although Smith’s Master of Science in Accounting could be a candidate further down the road, Cliff says there are no real plans in place to make more of the school’s masters programs STEM-eligible. “The MSc in Business and Management is never going to be a good fit, because it’s more general management—like an MBA,” he says. Just a handful of MBA programs come anywhere close to STEM-eligibility, and these are limited to students on more science-based specialized tracks—like the business analytics concentration on the full-time MBA at the University of Iowa’s Tippie College of Business, or Wisconsin School of Business’ MBA specialization in operations and technology management. STEM-eligibility is a selling point for US business schools because getting it isn’t just a formality. STEM classification is based on curriculum guidelines defined by the US Department of Homeland Security, and not all curriculums meet these guidelines. 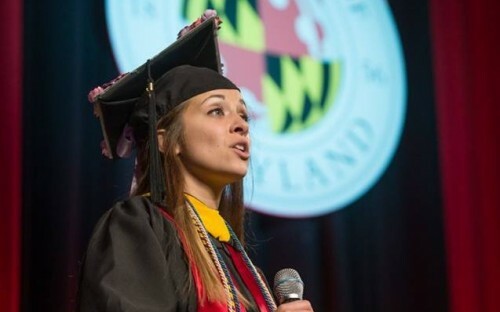 “The faculty have to submit a whole brand-new curriculum and justification that first goes to our central graduate school and president’s office, then to the Maryland higher education commission at state level for approval. It’s a very long, arduous, work-intensive process,” Cliff explains. Read: MBA Vs Masters: Which Should You Choose? One business school with no issues meeting the technical requirements of STEM-eligibility is MIT Sloan. MIT’s STEM-designated Master of Finance receives around 1,700 applications each year, the majority from internationals. MIT’s Master of Business Analytics program has been STEM-designated since its inception in 2016. The quant-heavy program requires that students develop strong math and computing skills over the 12-months. With red-hot demand from employers for STEM—a recent report predicted a potential shortage of 1.1 million workers in Science, Technology, Engineering, and Math occupations by 2024 if current trends continue—more and more business schools are chasing STEM classification. Applications to the STEM-designated Master of Science in Business Analytics (MSBA) at the University of Minnesota’s Carlson School of Management have shot up in recent years, with the class size more than doubling between 2015 and 2016. 2017 saw more students on the MSBA than the school’s flagship full-time MBA program. The Ohio State University Max M. Fisher College of Business announced STEM designation for its Master in Finance and Master of Accounting programs this year. International applications for the Master in Finance are already up 7.5%. Chris Adams, manager of graduate student marketing at Fisher, says that as international applicants become harder to attract, STEM will continue to grow. Robert Monroe, professor of business technologies at Carnegie Mellon’s Tepper School of Business, agrees. The school launched its STEM-designated Masters in Product Management this year. The process paid off. Anthony Tomasic, director at the School of Computer Science at Carnegie Mellon, says applicants often ask whether the program is STEM-designated. Is a STEM masters the right fit? For Anthony, STEM-eligibility is critical. The downsides to STEM-designation in its current form? Few schools see any. But STEM-designated programs are not for everyone. They bring with them a level of technical and science-based study which may be uncomfortable for applicants after a more general graduate management degree. For Cliff, it’s in every business school’s best interests to offer a mix of programs that are both non-STEM and STEM-eligible. “To become STEM-eligible, a program has to be more technical; more leaning towards the science-side,” Cliff confirms. “For the quants, that’s fine. For the poets, maybe that’s something they’re less interested in. “If a school goes ahead and makes every program STEM-eligible, they’re going to miss out on a whole load of students that will add a different dimension to a program; on the soft skills, management, people-side of things.